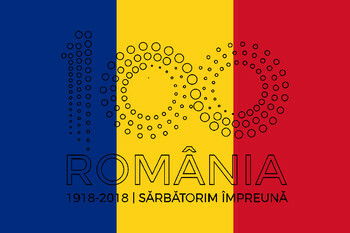 In 2018 we commemorate the 100th anniversary of the major political event of 1918: the completion of the Romanian national state, made by the union of the romanian provinces with Romania. At the beginning was the unification of Basarabia with Romania (27 March 1918), then the union of Bucovina with Romania (28 November 1918), and finally the unification of Transylvania, Banat, Crisana and Maramures with the country, Romania (1 December 1918). The three unions form the Great Union together in 1918, and in 2018, 100 years after those events, we celebrate CENTENARY GREAT UNION.